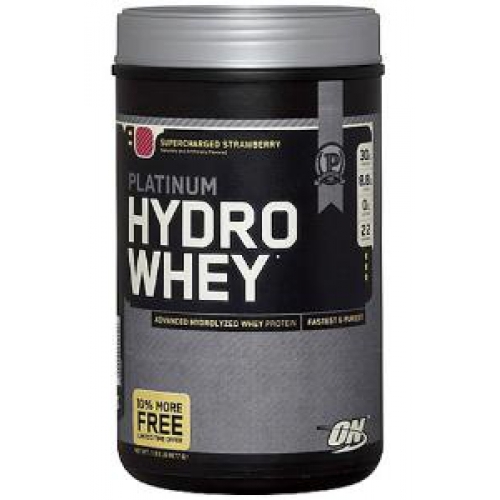 Platinum Hydrowhey is INSTANTIZED, so it always mixes up easily and completely. Simply add 1 scoop of Platinum HydrowheyÂ¿ to a blender, shaker cup, or glass filled with 12 ounces of cold water, milk, or juice and blend, shake, or stir for 20-30 seconds or until powder is dissolved. TIP: Adjust the intensity of your Platinum Hydrowhey shake by varying the amount of liquid you use to prepare it. For a slightly thicker consistency with a bolder flavor, mix each scoop with 10 ounces of water. For a milder tasting less sweet shake, use 14-16 ounces of liquid per scoop. Stack Your Shake: By adding dietary supplements including creatine, BCAA, and carbohydrate powders you can make Platinum Hydrowhey an even more powerful recovery product. TIP: Use faster acting Platinum Hydrowhey during the day and more slowly digested Gold Standard 100% Casein at night for around-the-clock amino acid coverage. Suggested Use: Consume approximately 1 gram of protein per pound of body weight per day. Through a combination of high protein foods and protein supplements. For best results consume your daily protein allotment over several meals spread evenly throughout the day.